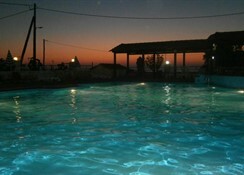 The hotel is a free-standing holiday village complex with a family atmosphere in a quiet area of Begeti Bay. Facilities available to guests at the 82-room beach hotel include a lobby with 24-hour reception, currency exchange facilities, a games room, TV lounge, kids' club and a bar and restaurant.The BEGETI BAY is a Tourist hotel. 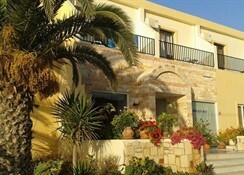 Located in Rethymnon area. Shopping is accessible by bus/taxi and the nightlife/restaurants are easily accessible by taxi or bus from the hotel. Just 50 metres from the pebbly and sandy Skaleta Beach- Begeti Bay Hotel boasts an outdoor pool- restaurant and poolside bar. Air-conditioned rooms open out onto a balcony offering side sea views.Fitted with tiled flooring- Begeti Bay’s guestrooms come with a TV- safety deposit box and mini fridge. A bathtub or shower can be found in the private bathroom.Each morning a buffet breakfast is prepared. The restaurant offers a variety of dishes throughout the day. The lobby bar provides free Wi-Fi and the poolside bar serves refreshments and snacks.Begeti Bay’s sports and leisure options include a games room with billiards- table tennis and tennis courts- and a children’s playground and activity area. 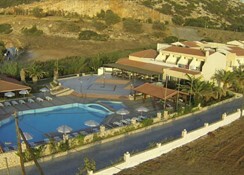 The 24-hour front desk can arrange car rentals.It is 15 km from the lively Rethymno City. The city of Heraklio is at a distance of 62 km and the city of Chania is a 72 km away. A bus stop is located 150 metres from the property. This charming beach hotel is situated at the end of an 11-kilometre long beach, which stretches to the historical town of Rethymnon. The area is rich in attractions and places of interest like the St.Nikolas Church, or the famous mountain caves nearby. Whether they have spent the day lazing at the beach or exploring the region, guests are sure to find peace and relaxation in the cool air-conditioned rooms, complete with large balconies with sea or garden views. 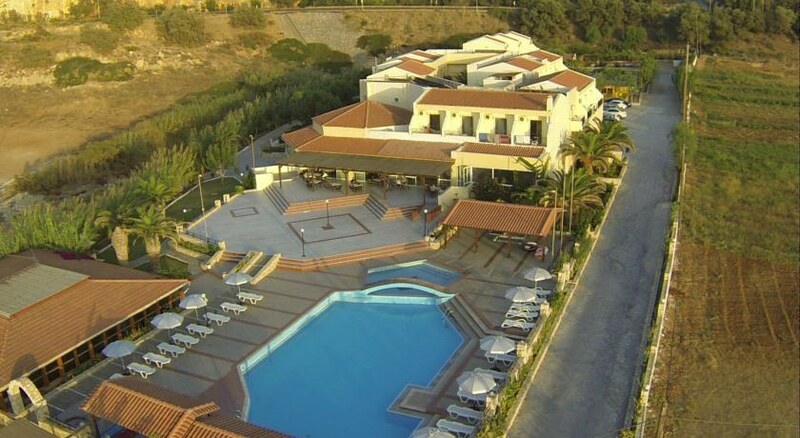 The hotel is especially popular among those travelling with children as the outdoor area has a kids' swimming pool, a kids' club and a games room. In addition to delicious meals, the restaurant offers also Greek evenings, disco nights and various entertainment programmes. 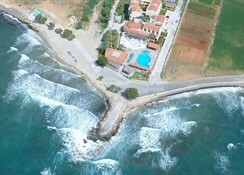 Skaleta is a small resort found ten miles outside of Rethymnon. The third largest town on Crete, Rethymnon is a town full of history and preserves much of its Venetian and Turkish architecture, with some great houses on Arkadiou and Arabatzoglou streets. The town is also home to the picturesque Venetian harbour and a selection of beautiful sun soaked beaches.